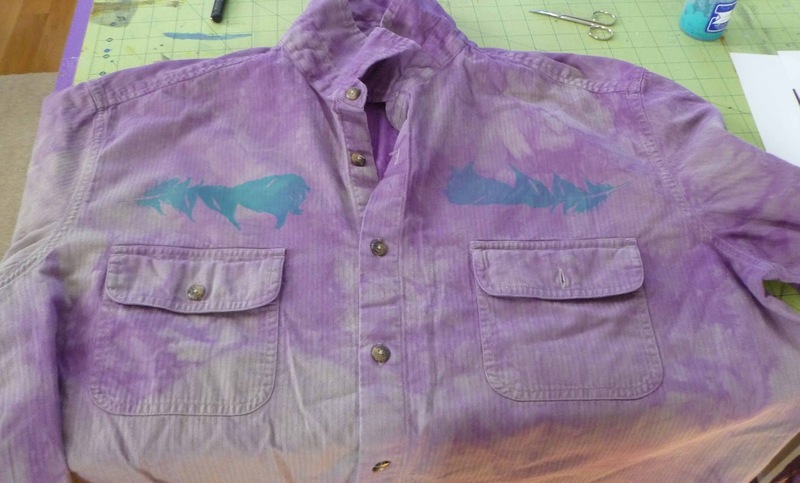 I previously LWI dyed this Goodwill shirt and having gotten my thermofax screen out I decided to screen on my feather screen with turquoise ProChem fabric paint. No great shakes but it was fun. When I saw you had a new post, I asked: "I wonder what she is up to today!" You are amazing, my friend, always exploring...How lucky to have the time, space, materials, inspiraton, to express this tremendous creativity! The shirt was so bland I thought "feather"
The feather is so delicate. 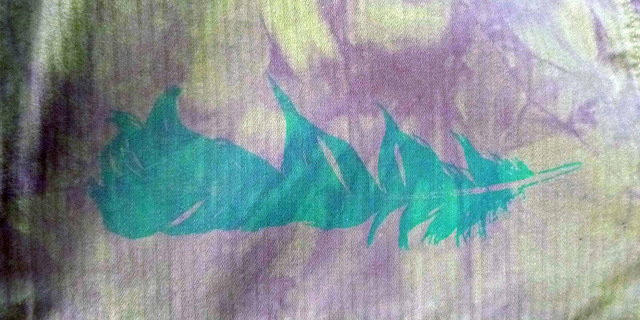 The thermofax of the feather was made from a photograph I took of a feather. I still have the feather nine years later.